English universities are interested in researching controversial headsets that claim to monitor if pupils are concentrating in class, say the products’ developers. 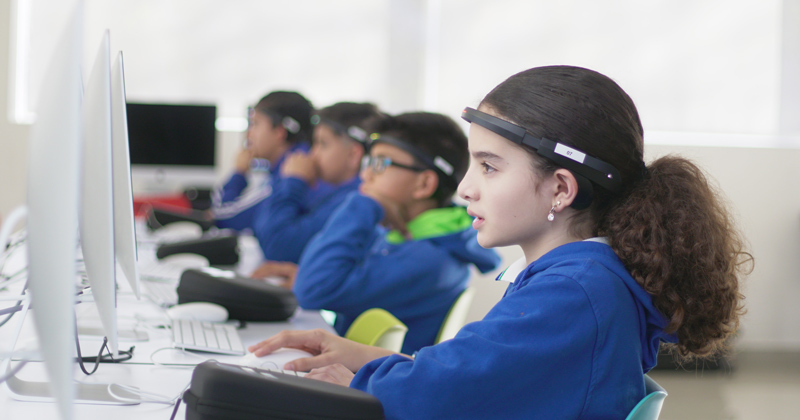 BrainCo, an American company, says its $350 (£266) headsets called Focus 1, can help teachers to identify pupils who need extra help, with data presented on a dashboard that shows the “average” brain activity of the whole class. The headsets show a blue light for pupils whose brain activity is lower than average, yellow for those at the average and red for those with above-average brain activity. This encourages teachers to intervene rather than work on “gut instinct”, a company spokesperson told Schools Week. The headsets – which measure the electrical activity of pupils’ brains using hydrogel sensors set against the skin – were recently trialled on 10,000 pupils aged between 10 and 17 in China. According to newspaper reports, the company said the sets helped pupils to improve grades, but critics questioned the results as they were not published in an academic journal. Hundreds of schools across China, the US and Latin America use the product, the spokesperson said, adding the company was now eyeing the European market. The company, which had a stand at the BETT show in London last week, said although no English schools had bought the product, English universities were interested in researching its impact. The spokesperson said schools could use the product to find out which teachers produced high levels of brain activity in pupils, which would encourage other staff to observe their lessons. The technology was recently tested by researchers at the Massachusetts Institute of Technology (MIT). They found that feeding back attention levels helped participants to focus and improve their test performances. But Paul Howard-Jones, professor of neuroscience and education at the University of Bristol, said “more than a single paper” needed to be published for the company to back its claim it was providing teachers with accurate data. He also said some parents or teachers might consider the product to be an “invasion of pupils’ privacy” because it aimed to reveal if they day-dreamed briefly. But it did have the potential to help provide them with information about their learning. Claire Lotriet, assistant headteacher at Henwick primary school in southeast London and a Google-certified teacher, said she would be “concerned about distilling a teacher’s effectiveness down to that data”. It was “too early” to draw conclusions. However, she welcomed further research into the sets, especially their “calming” brain games that helped pupils to concentrate. The company, started by two PhD candidates from Harvard University and MIT, charges $10,500 (about £8,000) for 30 headsets and associated classroom materials. However hard the children focus, half the class will always have below average brain activity. When the class all show above average brain activity, we have final proof that teachers need their heads looking at. These headsets should be resisted. Brain activity doesn’t necessarily mean learning is taking place. Constant brain activity may actually be undesirable – that’s why we need sleep. There are also issues around the immaturity of children’s brains and possible future harm. It’s only a small step for these devices to be fitted with a beep, or mild shock perhaps, to stimulate activity deemed to be insufficiently engaged. Or, worse, to deliver subliminal messages. Keep Big Brother away from children’s minds.